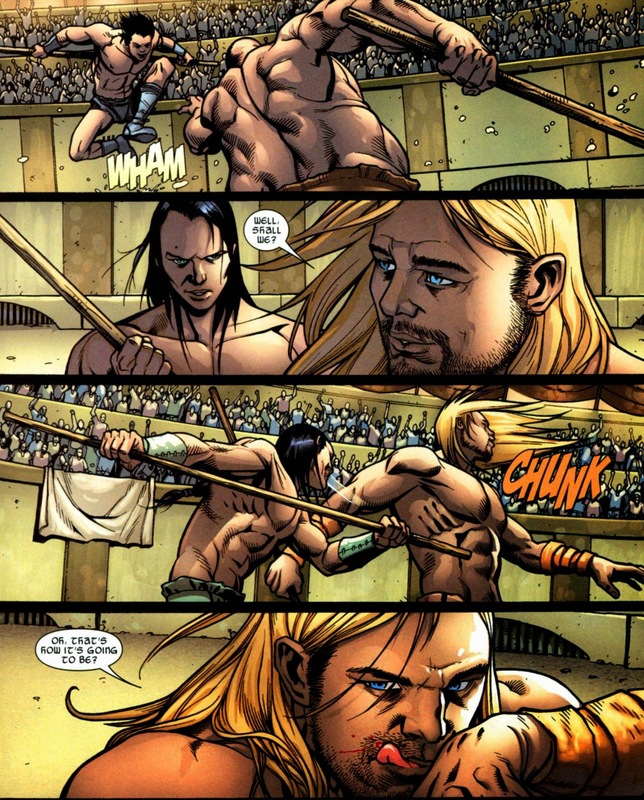 Shirtless Superheroes: Thor, Loki, Balder: Asgardian Beefcake Overload! 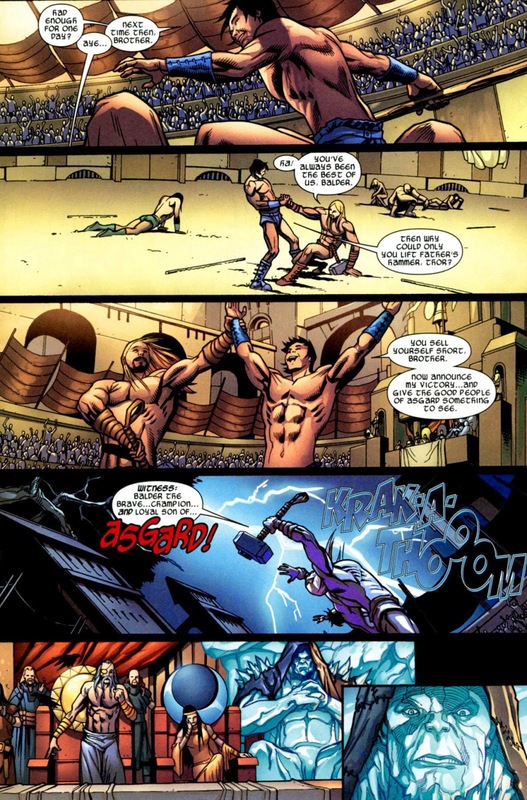 You know, since Ultimatum, I haven't been a big fan of Marvel's Ultimate Universe. Earth-616 is were it's at! But occasionally, I still enjoy reading it. 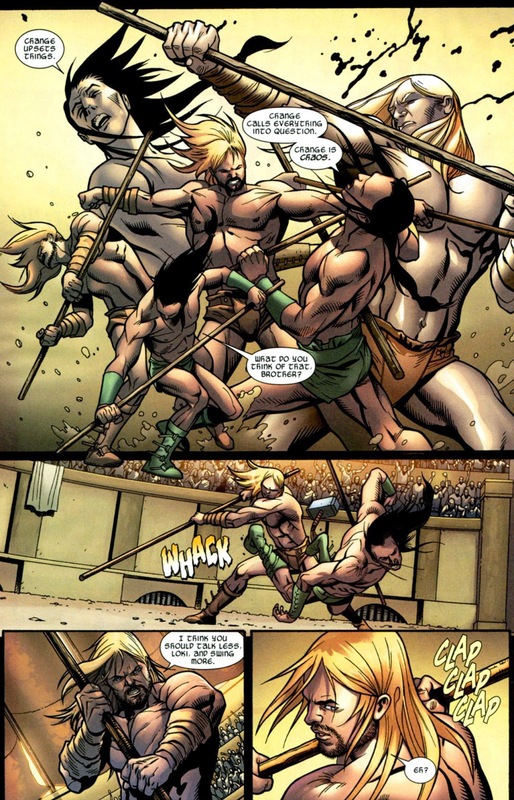 Such is the case with Ultimate Thor #2 in which Odin's three son's Thor, Loki & Balder fight the Warriors Three in skimpy codpieces. 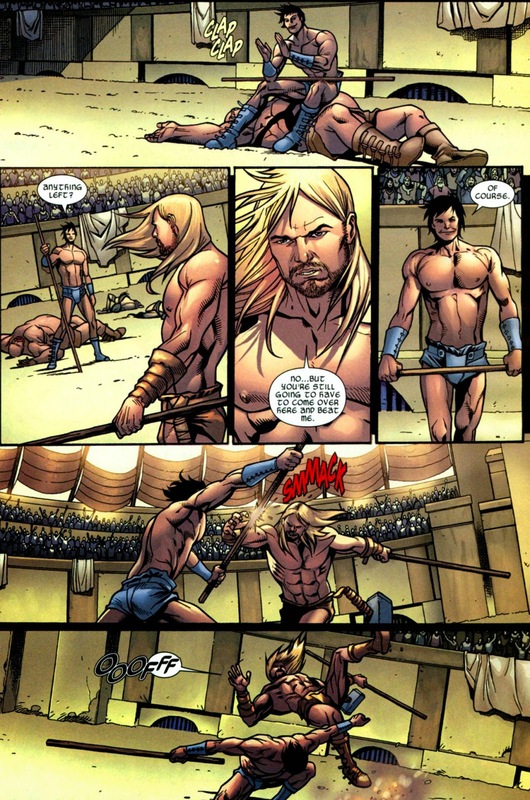 Asgardian beefcake overload! Asgardian meat. The best of the best in the Nine Worlds! 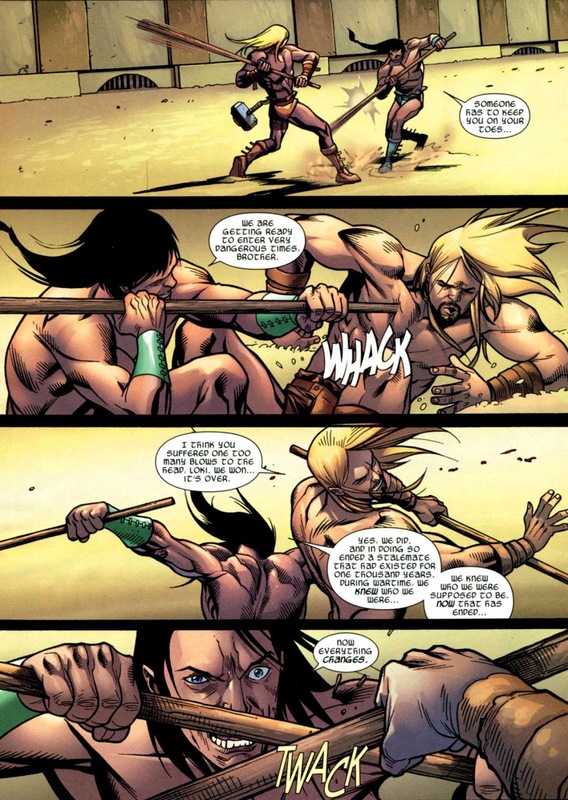 Just a note, in Marvel Comics, the beatiful, pretty-faced boy is spelled Balder, not Baldur. Oh, thanks for the correction Cesar! I think I'm having multiple orgasms!! !